Through hands-on experience and education, we provide nature, science, and environmental programming that encourages stewardship towards nature in youth and adults alike. The Durango Roller Girls Association represents Durango's baddest, hardest-hitting roller derby girls - come to a Bout to experience the fun! 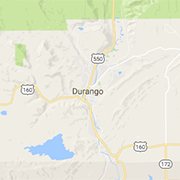 Local banking and creative financing for the economic and social Doers of Durango. It's our mission to foster a well-lived rural culture. Come see us at 2nd Ave and College.